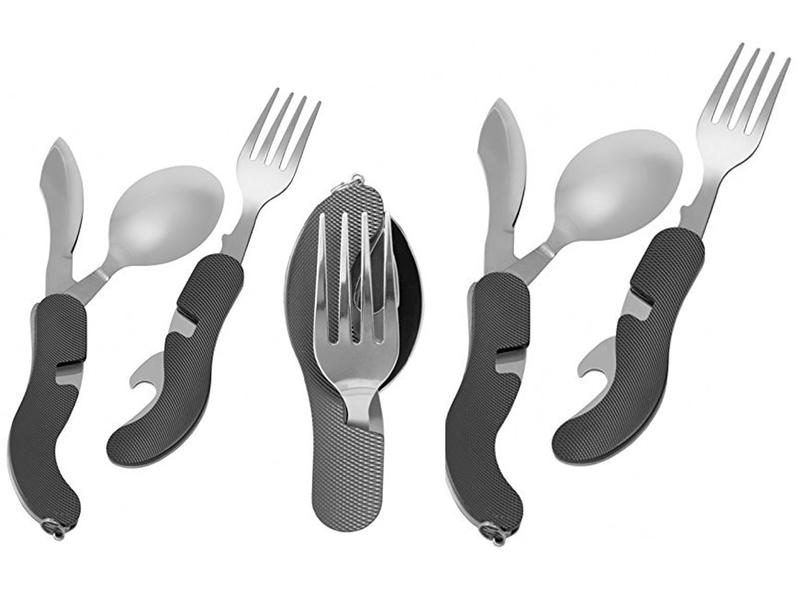 This convenient foldable camping cutlery is great because it saves so much space. Space is important when you are packing for a trip because there may be many items you need to bring. 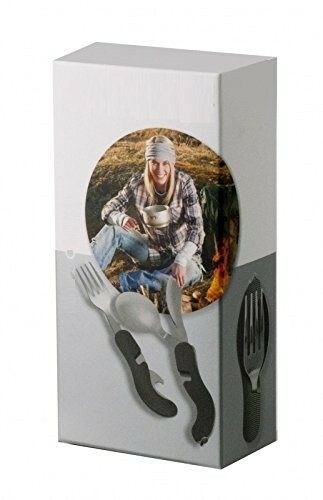 You can bring an entire set of cutlery but that may not be convenient if you are camping with a lot of people. If you plan to hike or ride one of these can fit easily in your backpack. The lightweight design makes this set perfect for most outdoor activities. It is made from aluminium because it is made of lightweight steel and aluminium. The set weighs only 156 grams so it will practically add no extra weight to your luggage. Light enough to carry in your pocket. This set has everything that you need because it is a four in one design. There is a knife, a fork, a bottle opener and spoon. 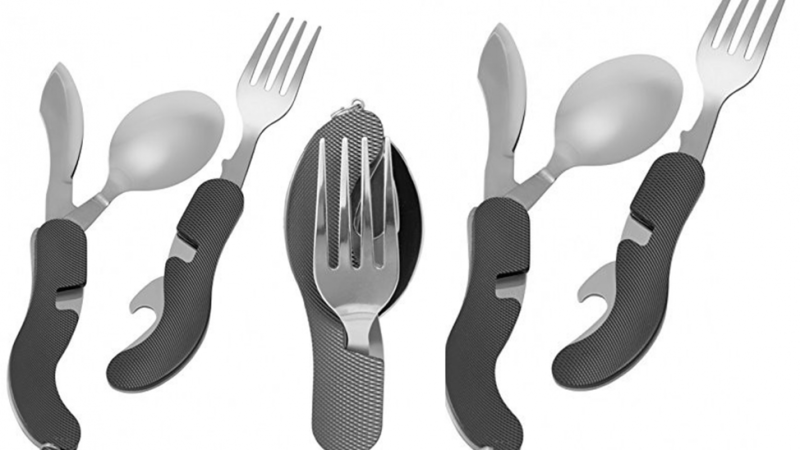 You will not need any other cutlery in order to enjoy a meal. Simply fold out the utensil that you need and do what you need to do. The fork does separate from the knife so that you can eat a meal. You can give this as a gift to anyone who enjoys the great outdoors because it it sure to get a lot of use. The set does come boxed which makes iot perfect for gifting.